You own a business, you have some competition. Maybe your service or product is superior to others in your market. Maybe not. And you don’t want to enter into any pricing war with your competition. Instead, concentrate on making sure your target market knows that your company is the right one for them. Until they believe, they will never buy from you. How can you set yourself apart from the competition? Publishing content online is a great first step. It has to be high-quality material that truly helps your target market. Your published pieces need to earn trust, build goodwill, and position you as an authority in your industry. 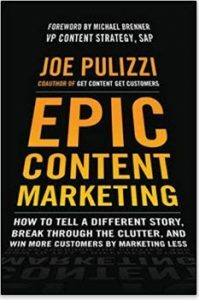 The key to successful content marketing? Those potential customers in your target market are struggling with something. That something is keeping them up at night. They want specific results, and you need to remember they’re willing to pay for it. Because we live in the information age, they’re more than likely searching for information online – smartphones, smart speakers, or their laptops and computers. They’re searching for answers – content that can help them find a solution. This is exactly why every business today needs a content marketing strategy. A sound plan ensures your target market will find you when they start looking for answers. Understand how content can help. Content that is well-researched and carefully written helps your target audience. The only cost to them is their time. Additionally, it’s crucial that all content includes a specific call to action, or CTA. Visit your website. Subscribe to your newsletter. Register for a free webinar. Your target audience expects a next step. Give it to them. It will help you to start build relationships and to acquire customers. There are as many different types of content as there are people searching for it. Blog posts, magazine articles, videos, webinars, white papers and e-books are some of the most common. And because there are so many options, the sheer possibilities can leave many entrepreneurs and businesses feeling overwhelmed. And to that end, they sit on the sidelines and do nothing. So here’s what this is all about. 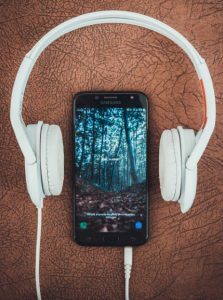 My recommendation: If you’re not already engaging your target market with podcasts, here are 6 reasons why, and how to prepare to publish your first piece of audio content. 1. It’s convenient to consume. Audio content is more accessible for users compared to text and video content. No shifting time away from what they’re doing to focus exclusively on your content. They can listen to your podcast while they’re driving, walking the dog, exercising or working around the house for example. Your podcast won’t take them away from those activities; it will compliment them. 2. It increases your reach and grows your audience. When you publish your podcast into directories such as iTunes, Apple Podcasts and Google Podcasts, your content is available to thousands of potential listeners for free. These directories are and work within search engines your target audience uses daily. This organic exposure helps you increase your reach and grow your audience. 3. It builds trust with your audience. Audio content is very personal. When someone hears you speak, they hear your authenticity and your personality. They hear the excitement in your voice. They feel your passion. This makes it easy for them to trust you. Episode after episode, podcasts help your target market feel as if they already know you on an individual level. 4. It helps you stand out from your competitors. 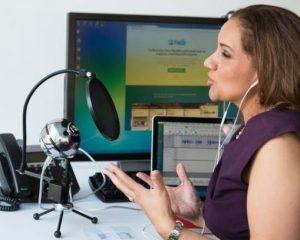 Publishing a podcast can help you immediately stand apart from rivals in your marketplace and position you as the go-to authority in your field. Depending on your niche or topic, you may have the advantage of facing very little competition. And if your competition is podcasting, so what. Produce better content for your target audience. 5. It helps you grow your customer base. As I mentioned earlier, each podcast episode needs to include a CTA. Give your listeners a clear direction, and make sure your landing page, email subscriber list or other tools are ready in advance. Make it as easy as possible for listeners. Include the CTA in your podcast show notes. And make sure your podcast website page includes a reference to the CTA, and refer back to the podcast to encourage new listenership. 6. It gives you a forum to interview experts in your industry. The interview format allows your audience to learn from your guests’ expertise, successes and even failures. You get to add more expert connections to your network. Plus, if your guests decide to help promote these interviews, you’ll get free exposure to their audiences. A win-win-win for you, your guest and your listeners. You can email Brett at podcasts@circle270media.com to talk more about your new or established business podcast. This entry was posted in Competitive Advantage, Customer Shopping Experience, Increasing Sales, Technology, Top Shelf Experts and tagged Customer Experience, customer loyalty, customer service, expert advice, mobile, Online Shopping Experience, podcast, Problem-Solving, Retail Made Easier, Shopping Experience, technology, Tips I Can Use, Trends to Watch, What's new I Can Use, Your Best Customer Service by Brett Johnson. Bookmark the permalink. ← Previous Previous post: What can I do if my store fixtures arrive damaged? Ask The Team!